Step 1: Buy a pack of Dano milk 360g and above for someone you love – they could be friend or family. 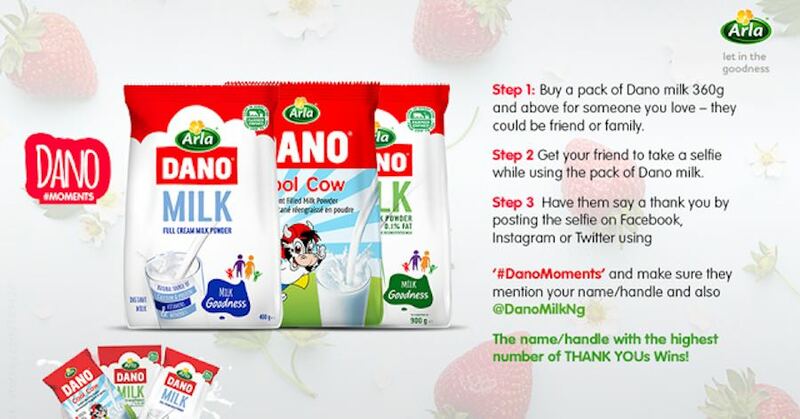 Step 2: Get your friend to take a selfie while using the pack of Dano milk. The name/handle with the highest number of THANK YOU tag Wins!